Woburn & Wavendon Football Club » Investing in Grassroots…Literally! The drought of 2018 took a huge toll on a number of WWFC’s playing locations. Pitches on predominantly sand based soils dried out, and the grass never truly recovered. As part of the FA’s Pitch Improvement Programme, WWFC looks to improve both the quality and robustness of all our playing surfaces. The aim is not only to reduce postponements, but also to increase participation levels on surfaces delivering the best quality football experience. 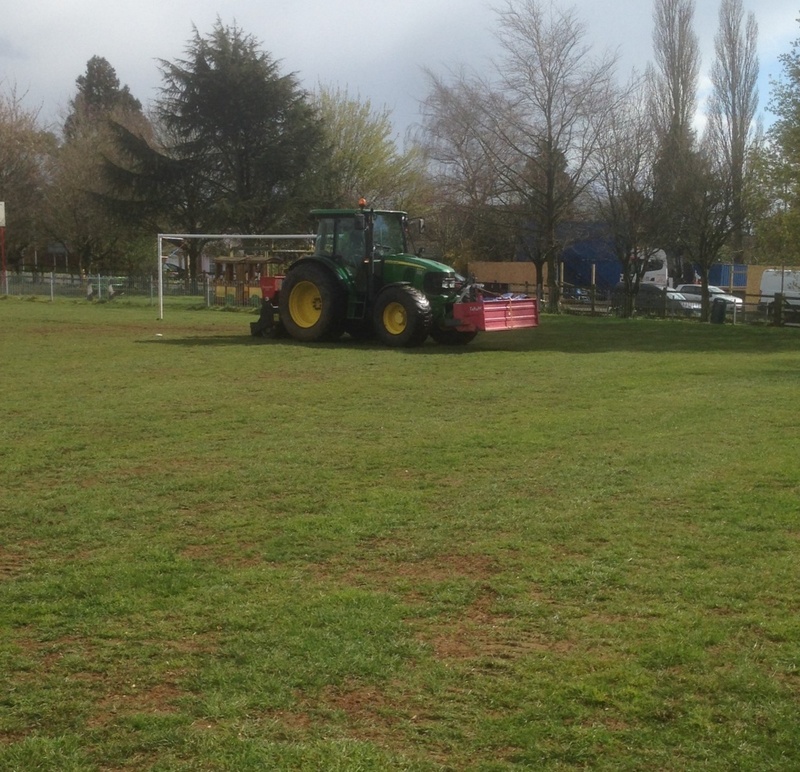 Drill Seeding taking place at our Little Brickhill ground.